Washington (CNN) – Christian evangelicals will surely have a major say in who becomes the next Republican presidential nominee. On Wednesday, a trio of conservative possible presidential contenders courted evangelicals with full-throated support for one group's cause. The potential presidential candidates are Minnesota Rep. Michele Bachmann, Texas Rep. Ron Paul and businessman Herman Cain. At an event in Des Moines, Iowa, all three expressed adamant support for home schooling to a group organized around that issue. The Network of Iowa Christian Home Educators, a well-organized evangelical group in the state, sponsored the event. The organization aims to curb government interference as parents opt to teach their children at home. Kay Henderson, News Director for Radio Iowa News, provided audio of the speeches. Bachmann, mulling a presidential bid, played up her Iowa roots in the state that will hold the first major presidential contest: the Iowa caucus. 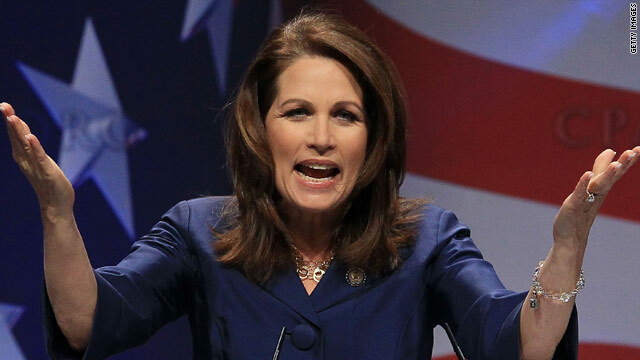 "I'm a seventh-generation Iowan…What I love about Iowans is that we're fighters," Bachmann told the crowd. The congresswoman then turned to the subject at hand. "My husband and I also home schooled our children for a number of years," Bachmann said, mentioning her five biological children and 23 others she parented through Foster care. Home schooling is "about freedom," Bachmann added. "It's about liberty. It's about knowing our children better than the state knows our children." Cain echoed a similar theme. "Get this government out of the way," he told the crowd. "Government is trying to strangle education in America by strangling what you have the right to do." Cain was the first Republican to establish a presidential exploratory committee and is also considering a White House bid. It was perhaps Ron Paul, who is also weighing another presidential run, who made the strongest claim about the nation's education system. "The public school now is a propaganda machine," Paul said. "They start with our kids even in kindergarten, teaching them about family values, sexual education, gun rights, environmentalism, and they condition them to believe in so much that is totally un-American." "Awesome, that's all this country needs is a generation of brain stems who believe Jesus rode a dinosaur." This is the problem with blogs. People who are completely ignorant to anything outside their restricted ideology are given the opportunity to pontificate ad nauseum. This is the point in which a disgusted Christian smacks himself over the head for even bothering to think he would find a substantive discussion on the CNN blogs. Public Schools in some areas are the worst part of government. Why does it cost 24,000 dollars to educate a student in L.A or look at St. Louis and D.C. which have some of the worst schools in America yet spend more per student with less results. I make sure I get in an area with good schools or I wouold pay for private school or home school if I could not afford private school. THe Unions have shown they are more interested in Power than in our kids future and also protect the bad teachers. We need to raise the number of school days and hours at school to match the rest of the world, that will be the pay raise for teachers. Also cut the administration and make them teach if they are so good.